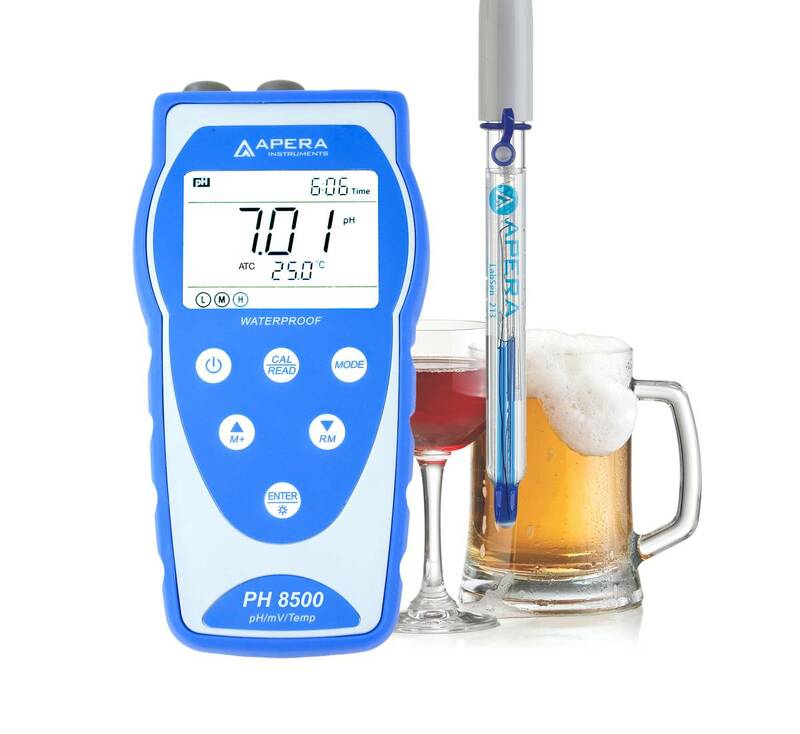 The Apera Instruments PH8500-BR Portable pH Meter is designed for professional pH measurement of for brewing, such as beer, wine, kombucha, juice, etc. The equipped Swiss LabSen 213 3-in-1 Glass pH/Temperature Electrode adopts a Long-Life reference system, and a patented pH/temp. dual sensor structure, making precise beverage pH measurement easier than ever. It's also working well in high-temperature samples (up to 212°F), so you don't have to wait for the beverage samples to cool down. 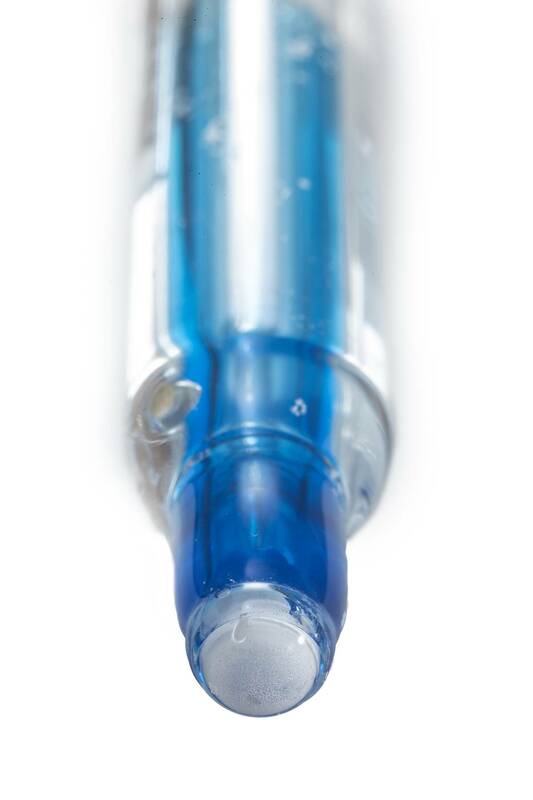 The unique LabSen blue hemispheric glass membrane has a faster response rate, better repeatability, and built tough - highly resistant to general impact (totally differentiates from the fragile conventional glass bulb membrane). 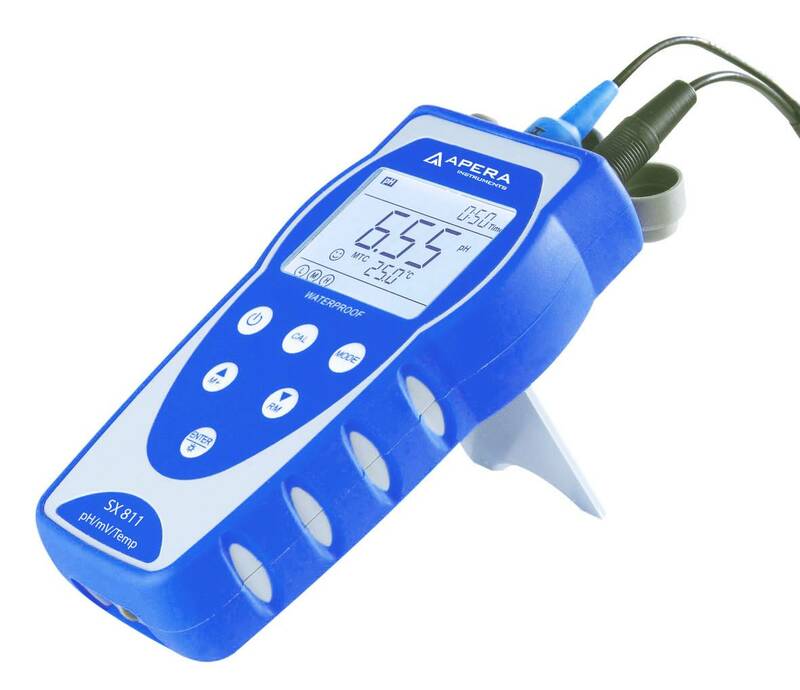 This PH8500-BR Portable pH Meter for brewing has a ±0.01 pH accuracy in a range of 0-14 pH, and Temperature Range: -5 to 100°C(23 to 212°F), Auto Calibration with auto recognition of up to 12 kinds of buffer solutions, Auto. Temp. Compensation, and supports stable reading/auto-hold display mode. The meter's digital filter technology improves response time and accuracy. Reliable Structure Design: Large white backlit LCD; foldable stand allows use as a benchtop meter; soft silicone case gives you a nice firm grip; connector protection cap, IP57 waterproof rating; Powered by 3 AA batteries. The meter is RoHS and CE certified and comes with a 2-year warranty (6 months for the electrode)."